Let's be real - misinformation about fertility is everywhere. Even if you think you're at the top of your reproductive health game, there are still probably one or two "facts" in your arsenal that, it turns out, aren't exactly correct. 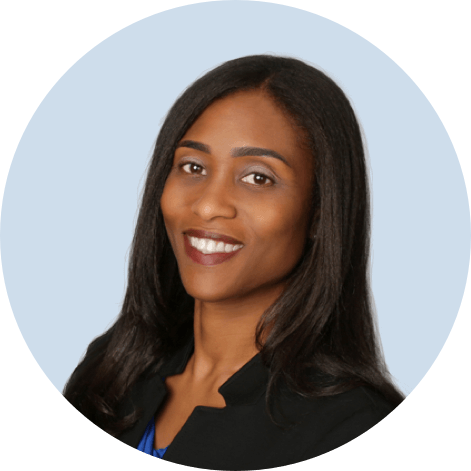 To help you get the right information, we asked Dr. Nataki Douglas, Head of the Modern Fertility Medical Advisory Board, to help us bust some stubborn myths around fertility. ND: Unfortunately, this is not true. Getting your period at the same time every month, give or take 1-2 days, is a great indication that you are ovulating each month. Ovulation is required for fertility, but fertility is more than just ovulation. ND: Birth control has not been proven to have any harmful long-term effects on a woman’s ability to conceive. However, once you stop your birth control method and are ready to get pregnant, you want to pay close attention to the regularity of your menstrual cycles. Being on birth control can mask signs of a common reproductive disorder, called polycystic ovary syndrome (PCOS). If your cycles do not become regular in 3-4 months after stopping your birth control, you may want to check-in with your doctor. If you are over 35 years old, it is not a bad idea to discuss your plans to stop your birth control with your Gyn at your next annual visit. If you have one successful pregnancy, you should have no problem getting pregnant again. ND: Using Plan B does not affect your fertility. Plan B is a huge dose of hormones used in many birth control pills that prevents fertilization of an egg or prevents the fertilized egg from attaching to the uterus. Once you get your period after taking Plan B, your cycle has restarted and the Plan B hormones are out of your system. ND: Not a guarantee… The ability to get pregnant and/or how easy it will be to get pregnant is not completely inherited. Every woman is different. However, research has shown that some conditions that may make it more difficult to get pregnant, like PCOS and POI (premature ovarian insufficiency), have heritable genetic components. Now that you've got this info, here's another thing that's definitely not a myth: Even if you don't want kids now, it definitely can't hurt to know what's going on with your fertility so you can plan for the future. Modern Fertility can help you get the facts you need. Dr. Douglas is the Chair of the Modern Fertility Medical Advisory Board. She received both her M.D and Ph.D. degrees from Yale University School of Medicine.